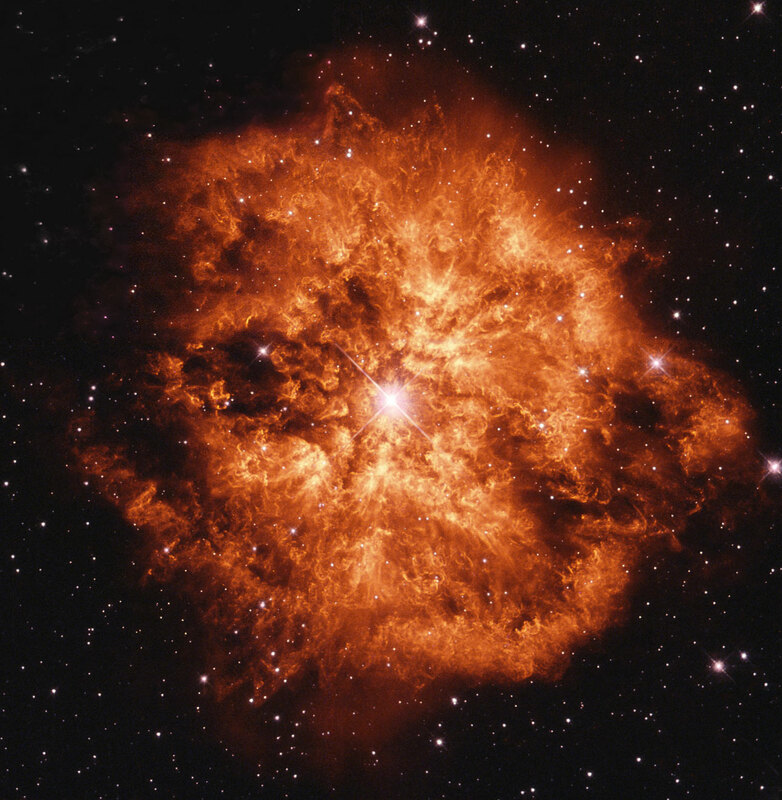 This is called a “Wolf-Rayet” star, WR 124. Thanks to NASA’s “Astronomy Picture Of The Day” website for this and many other fantastic space images. Violent, perhaps. But also amazingly beautiful! 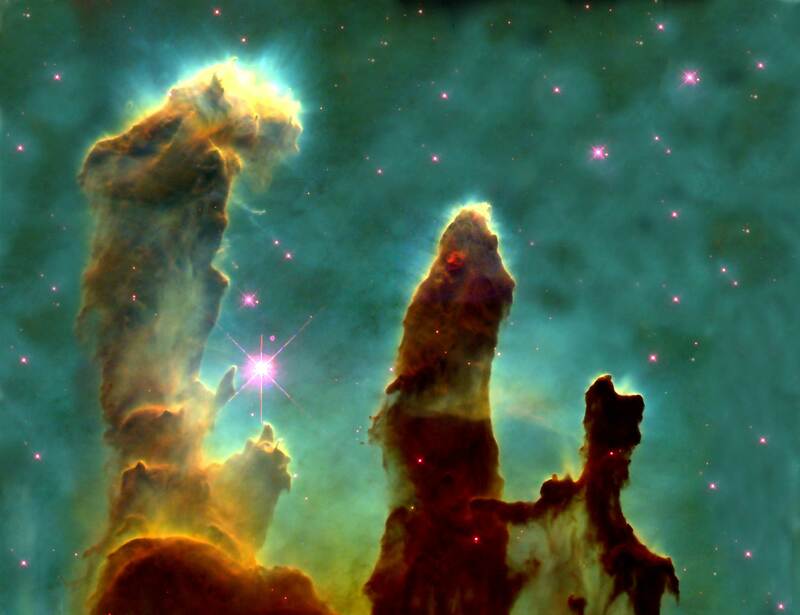 This is an iconic photo by the Hubble Space Telescope called the “Pillars of Creation”, the Eagle Nebula picture taken many years ago and always worth sharing. 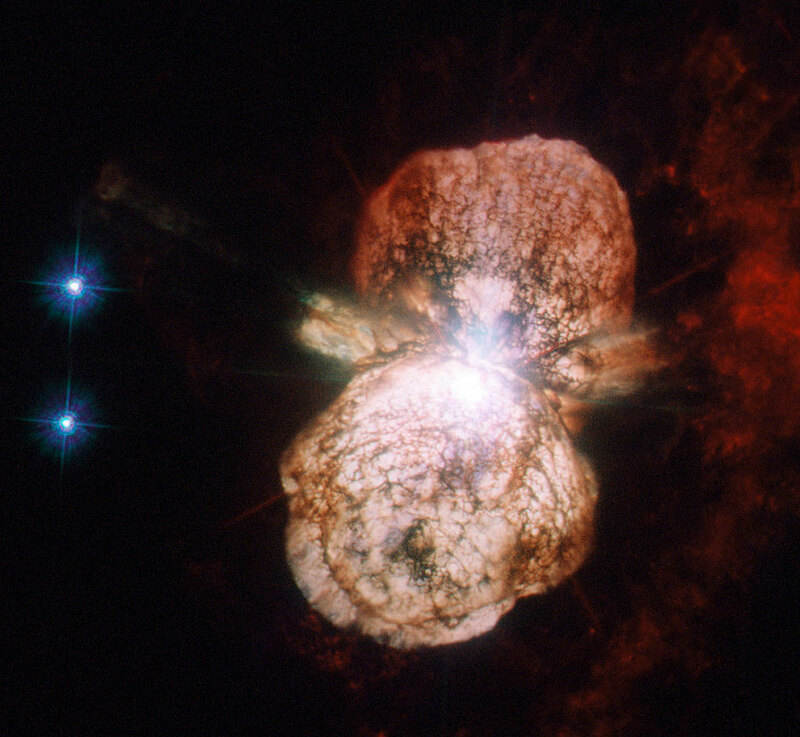 This is called the Eta Carinae Supernova, which is an exploding star. You wouldn’t want to be too close to this explosion. But, from a safe distance, there’s something just spectacularly beautiful about this.